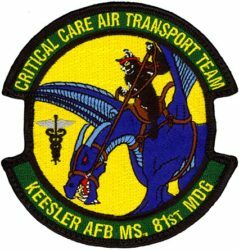 The Critical Care Air Transport Team (CCATT) is a unique, highly specialized medical asset that can create and operate a portable intensive care unit (ICU) on board any available transport aircraft during flight. 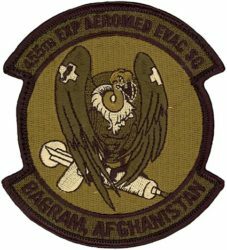 It is a limited, rapidly deployable resource and a primary component of the Air Force’s Aeromedical Evacuation (AE) System. 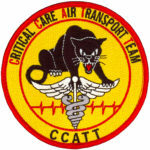 The CCATT team is a three-person medical team consisting of a physician specializing in an area such as critical care, pulmonology, surgery, etc., along with a critical care nurse and a respiratory technician. 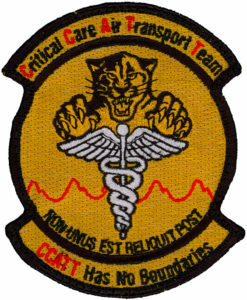 The team is experienced in the care of critically ill or injured patients with multi- system trauma, shock, burns, respiratory failure, multiple organ failure and other life threatening complications. 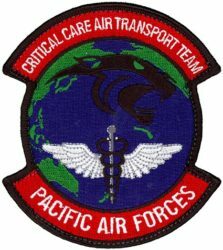 The complex, critical nature of the patient’s condition requires continuous stabilization, advanced care, life-saving invasive interventions during transport, and life or death decisions.